As You check out of the Honey Store, When asked 'If you would like to Plant a Tree with that', A reply of Yes, costing You 12 cents, will fund the Planting of Two Trees, for we will bee matching Your Donation! Consider Donating 8 Trees for 96 cents, which, after doing the math,allows 16 more Trees to bee Planted where needed, Offering HOPE! Aside from Large Donations, which will bee forwarded to ForestPlanet, Swarmbustin' Honey will match all Donations, Tree for Tree. A BIG Thank You to our customers for helping us plant 2000 trees with ForestPlanet! Way to go, and here's to the next 2000! 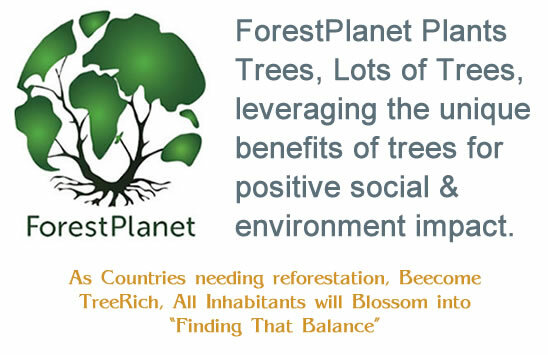 "Gratefully and with all due respect we wish to thank all that cooperated & collaborated to our partnership with ForestPlanet in 2018. We had 128 folks plant trees whilst placing orders thru our website, Very Cool! With an average of nearly 7 trees per tree order, that totals to 867 trees planted & with Swarmbustin' matching tree orders, collectively we have planted 1782 trees, Nice! Hank Dearden, founder of ForestPlanet, predicts that we should cross the threshold of 2000 trees by the end of February. That bee very honorable, yet I beelieve that with your help, we may cross the 2000 marker beefore that!" 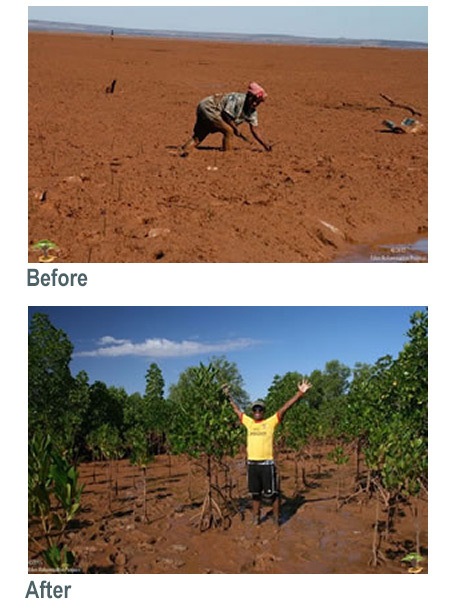 To illustrate the transformative power of trees, here are 'beefore & after' pics, taken only Five Years apart, from the Mahabana estuary area of Western Madagascar! We invite you to lean more about the bees and the issues they face and what you can do to help!